Hi in Spring! 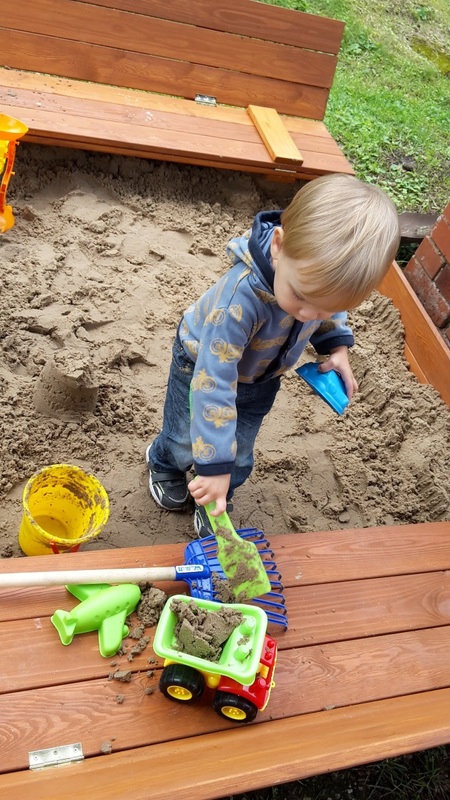 This is the perfect timing to tell you all about our sand box DIY project! 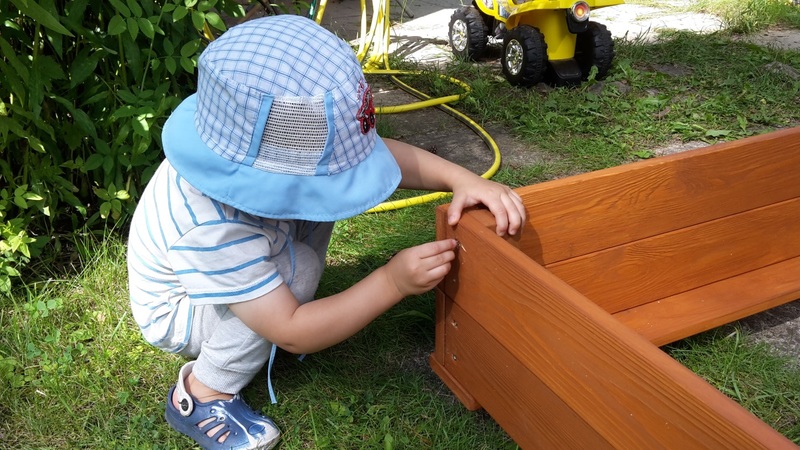 We are aware about an option to buy a sand box, of course, but we thought about building bigger sand box for better price and both me and my husband kind of have this DIY gene. 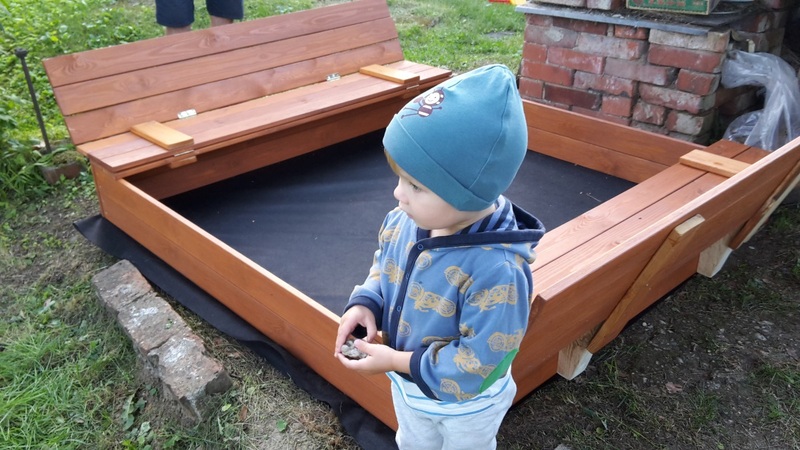 So we decided to build a sand box with a cover that folds like two benches. 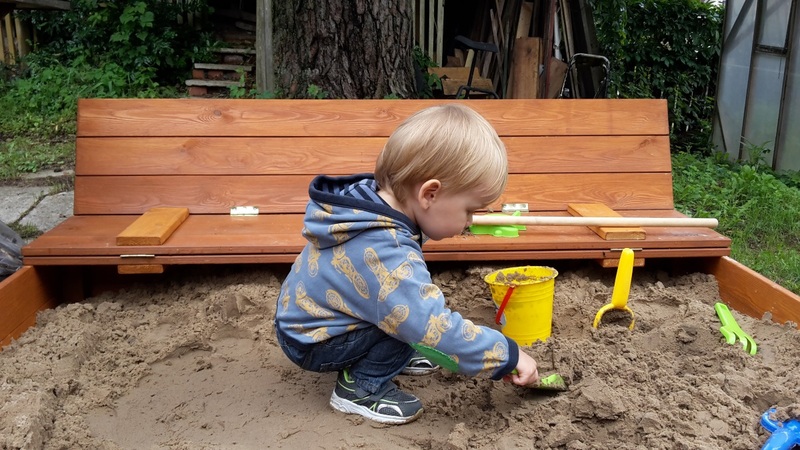 Bigger means 1,50×1,50m, because boards mostly come in 3m length (at the end this is quite big sand box to enjoy together with friends). And that is all we can calculate before going to sawmill and finding out available board sizes. Why sawmill? Because if we bought boards in building materials store, this project would turn out very expensive and it wouldn’t be worth building ourselves. At sawmill we find nice planed boards, calculate needed amount and ask to cut to lenght. 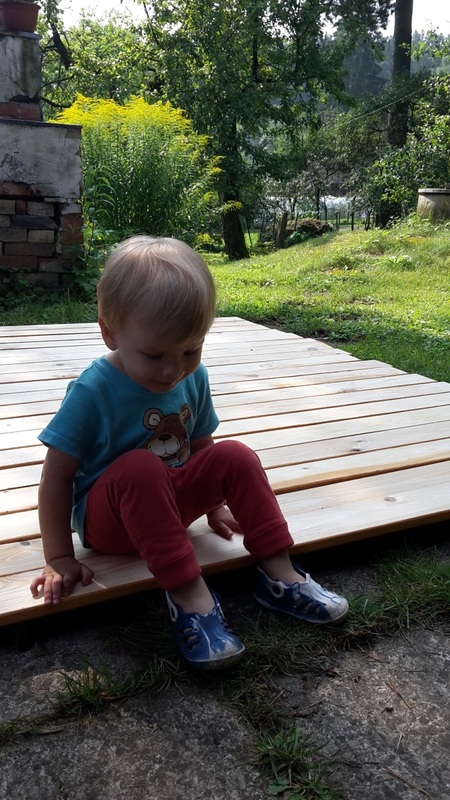 When calculating, keep in mind to leave few mm gaps between boards (our mistake – too small gaps, so, when boards swell during winter, we can’t completely close the cover). 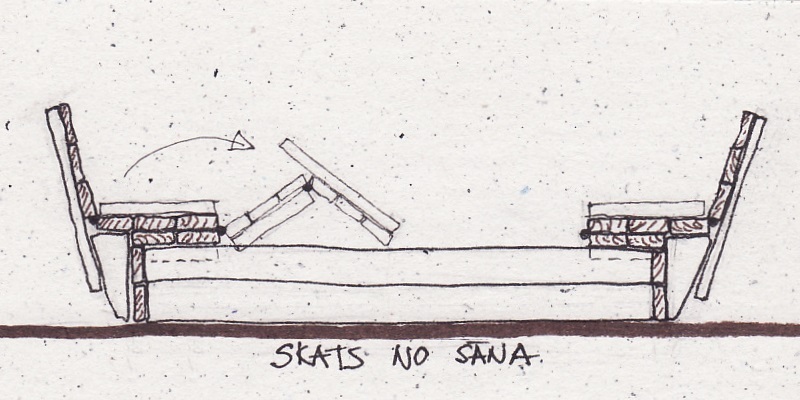 When we have bought the boards, next thing is to calculate the amount and length of skrews. 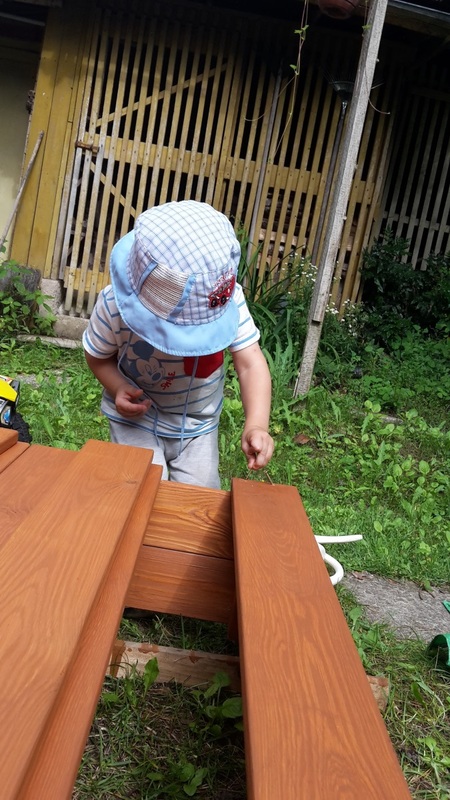 We also need 8 hinges and non-toxic paint (suitable for children playgrounds). Last but not least is geotextile and nails with bigger heads. 1. PAINTING THE BOARDS! One night after we had put our baby to sleep, we took a wine and a paint and painted the boards. This task is the only one kido shouldn’t participate. Boards need to be painted at least 2 times or even better – impregnated, but that seemed too big of a trouble for us. 2. SKREWING ALL TOGETHER! 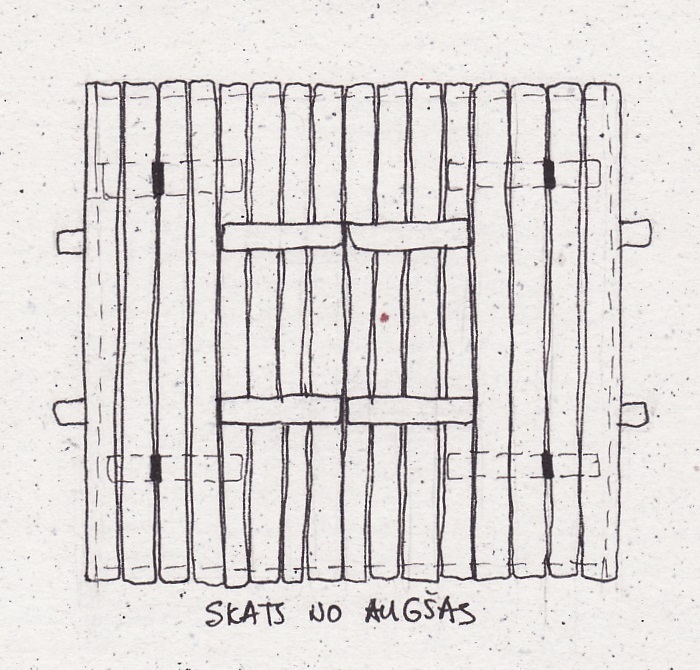 I won’t write down all the smalest details about where we put skrews and how much (at least if nobody asks), but I hope that my drawings and photos will help you build your own sand box! But I will give you one very important tip, how to check if you have all the right angles at the very beginning – measure both diagonals and, if they are equal, then angles are right. After that call your kido to help you with everything else! Toms was 1 year and 10 months old and I think, that starting 1 year and 6 months is appropriate age to participate in this project. 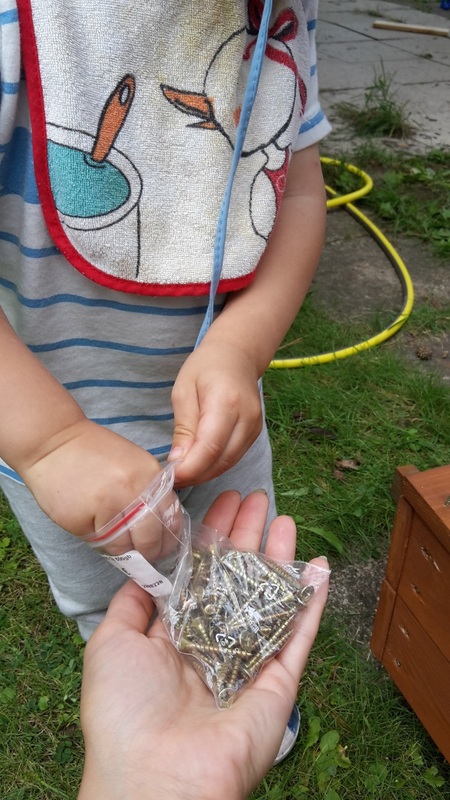 To take 1 or 2 skrews from a bag (learning to count to 2), to put the skrews in drilled holes (concentration and small motor skills). Help to measure by holding one end of tape measure. 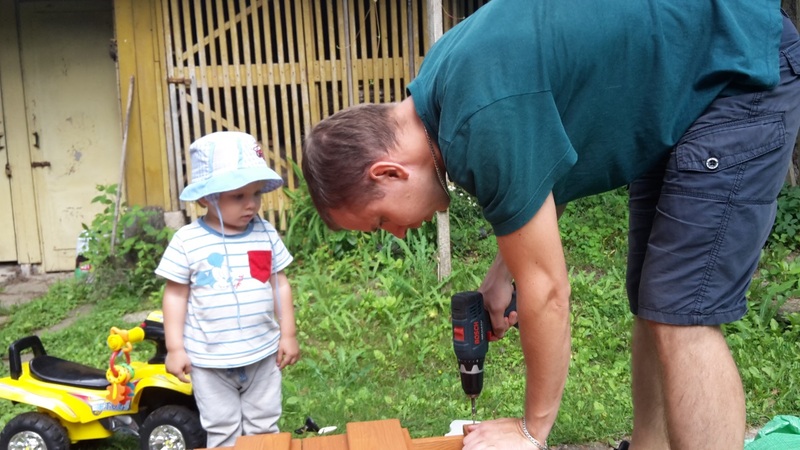 To watch how daddy is working with tools, to understand sequence. To learn a patience, because this project take more than an hour or two, more than a day. To see, that things we can buy in a store, didn’t arise from a magic wand. 3. SANDS. 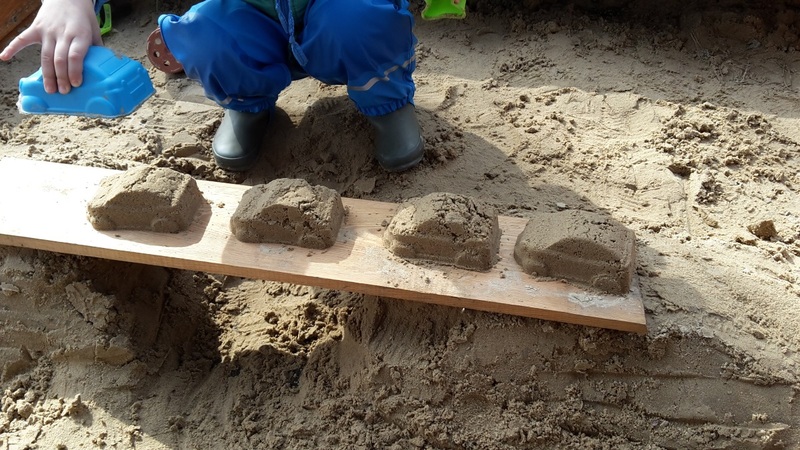 Obviously each sand box needs sands, regardless of the fact we made it ourselves or bought in a store. 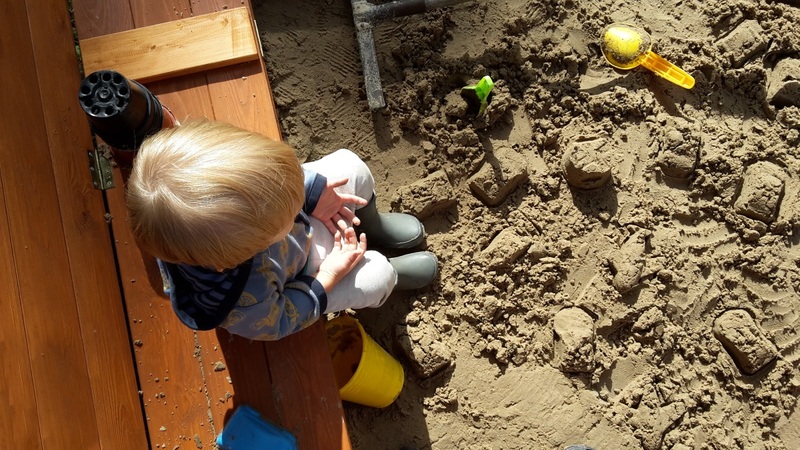 I guess the options for getting the sands differ of what country and city you live in, but for us there were 3 options: online stores (most expensive), building materials store (kind of appropriate price) and sand quarry (the cheepest option), which is the option we chose. And they even didn’t ask for any money, my husband just had to dig the sands himself. So happy and thankful! Small things sometimes can bring so much joy! And thats all! 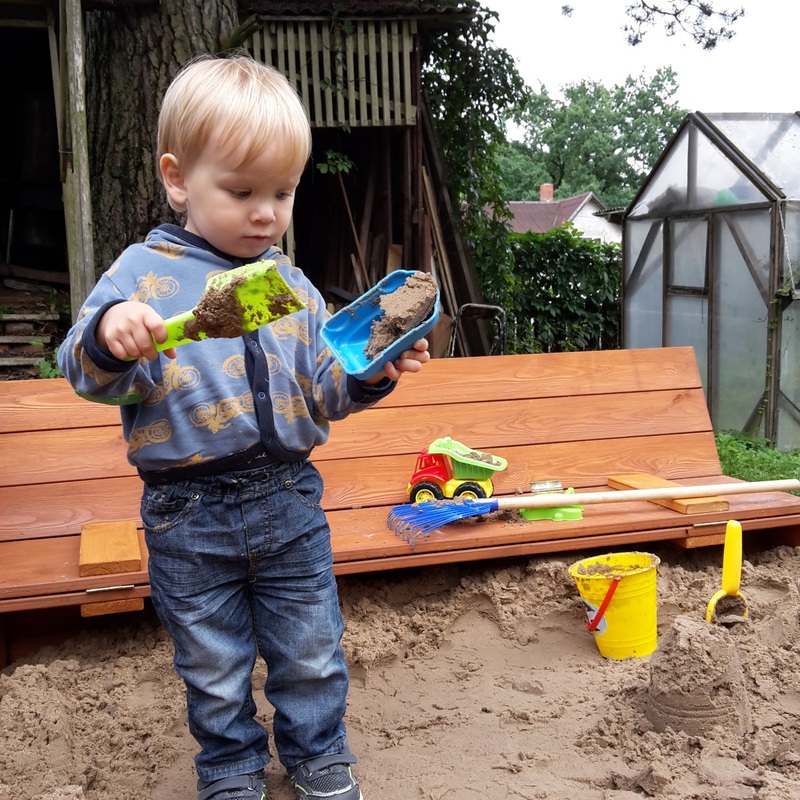 Sand box is ready and there are sand cakes, cars, hills and roads and tunnels made!